1. Prepare your steamer by warming it up with medium heat. 2. 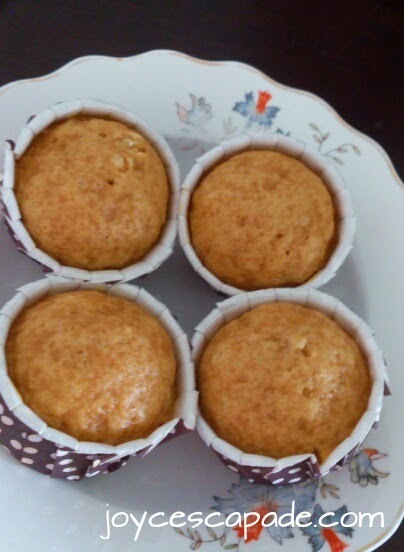 To make cupcakes: Sieve flour and baking powder. Add molasses into it. Beat in egg, milk and oil. Add in apple puree and chopped almonds. Mix gently. Do not over-mix. 4. To make cream cheese filling: In a separate large bowl, combine cream cheese and milk. Beat until well blended. 5. Prepare 4 cupcake holders. Drop about 1 teaspoon of cream cheese mixture into each cup. 6. Place about 1 tablespoon of batter into each cup, covering the cheese. 8. They are ready when a skewer inserted into the middle comes out clean. My journal of steamed cupcakes recipes. They looks delicious. Yum yum. Molasses in the recipe calls for blackstrap molasses or molasses sugar? Hi, when I bought the package, it was labelled as natural molasses sugar. You can also use dark muscovado sugar. Brown sugar is good too. But if you want your cupcakes to be light yellow, you can use normal sugar. Hi, are you using a proper measuring cup? Yes, I did! Anyhow, the cupcake taste good. 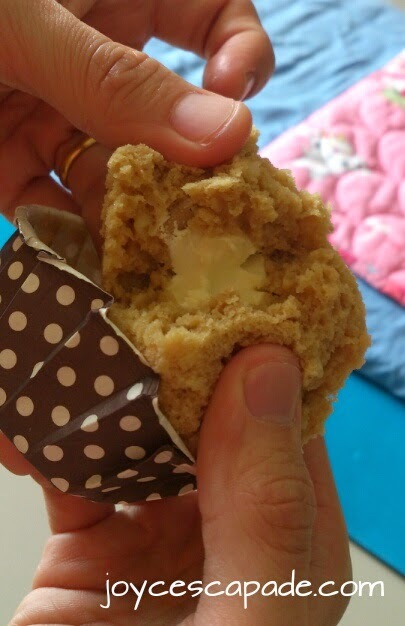 Just that the cream cheese filling doesn't work for me... Will try again! What brand of cream cheese are you using? Hi, I use Tatura Cream Cheese from Aussie.